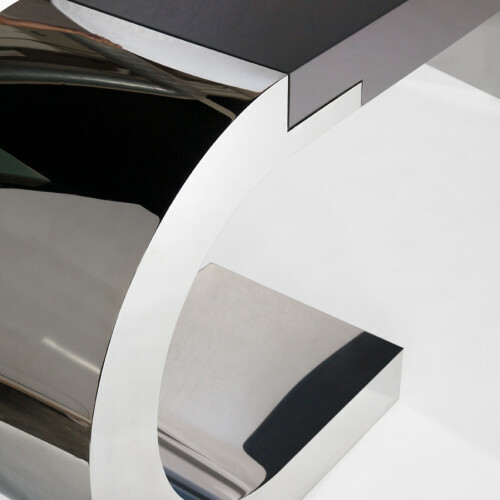 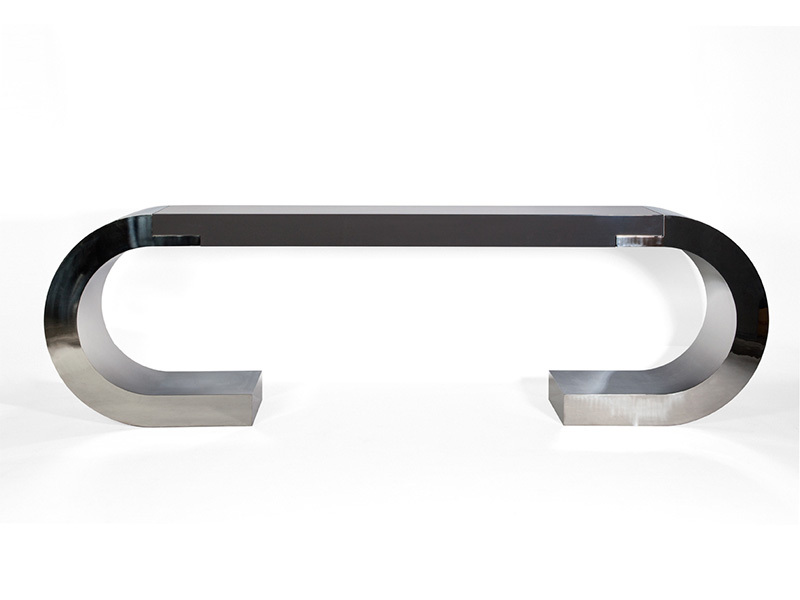 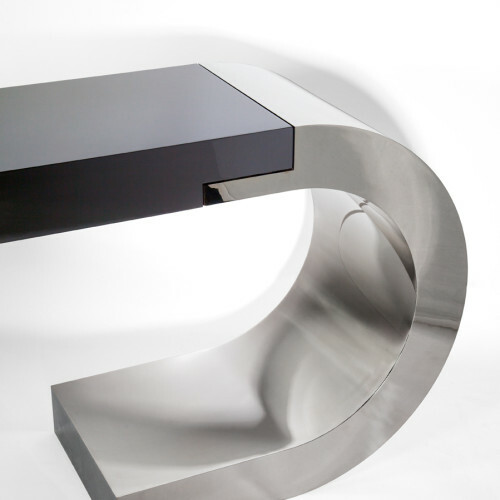 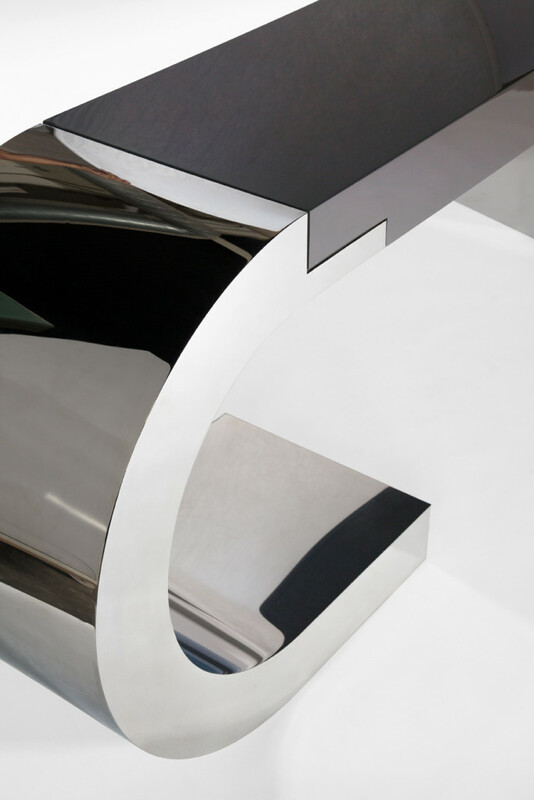 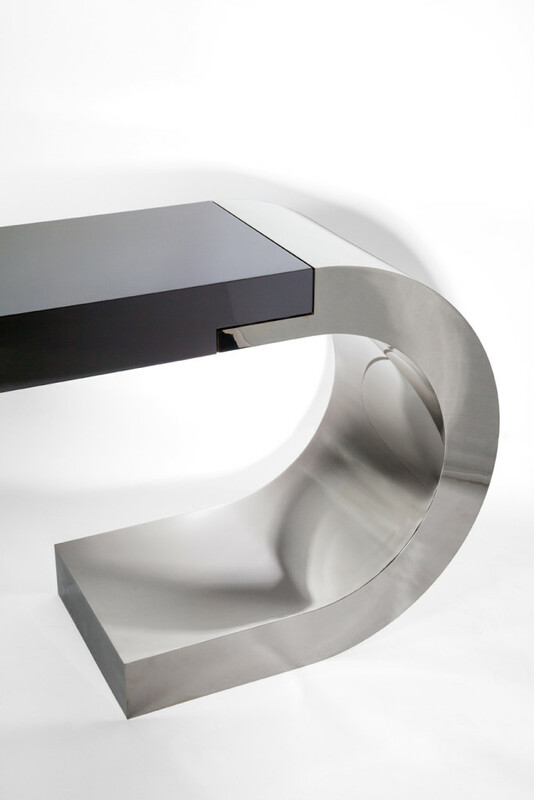 A sculptural console with dramatically curved metal sides. 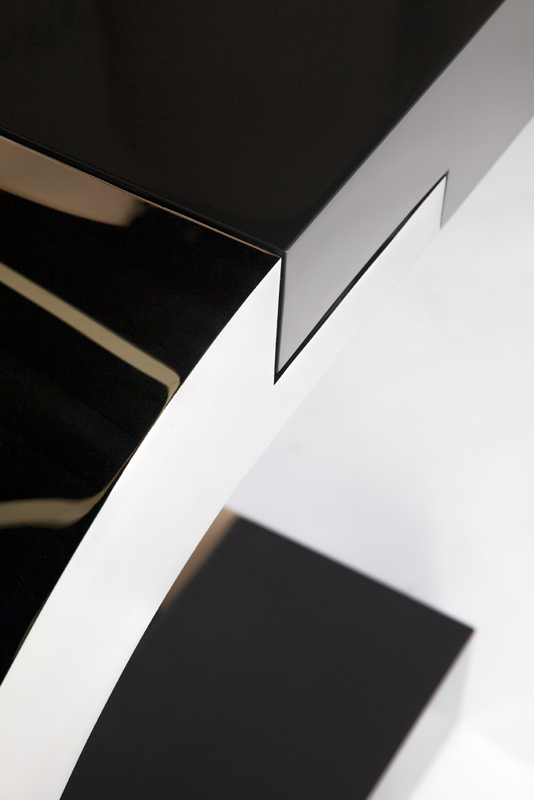 High gloss lacquer body with polished stainless base. 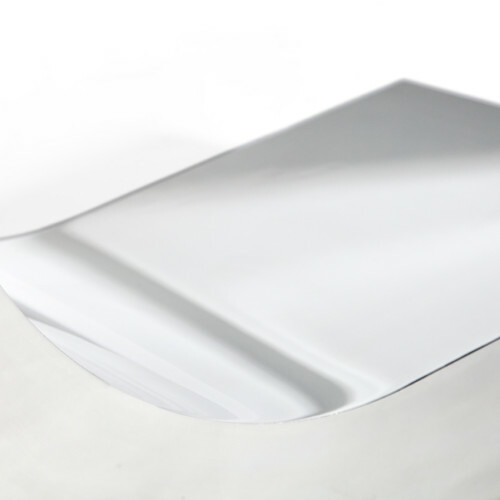 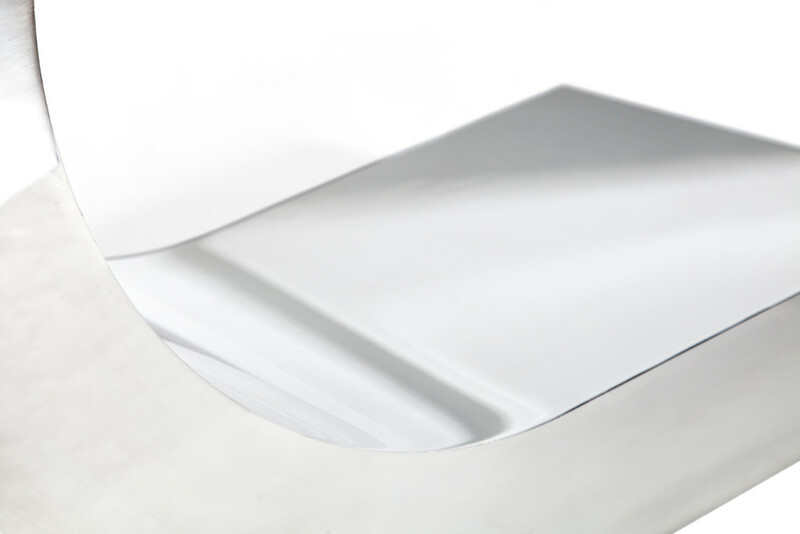 Available in polished stainless steel and blackend steel.